If there has been any doubt regarding Hellblade: Senua’s Sacrifice, it is that practically none of the videos released so far showed actual gameplay of this expected title, something that IGN has now remedied with a gameplay video of ten minutes. 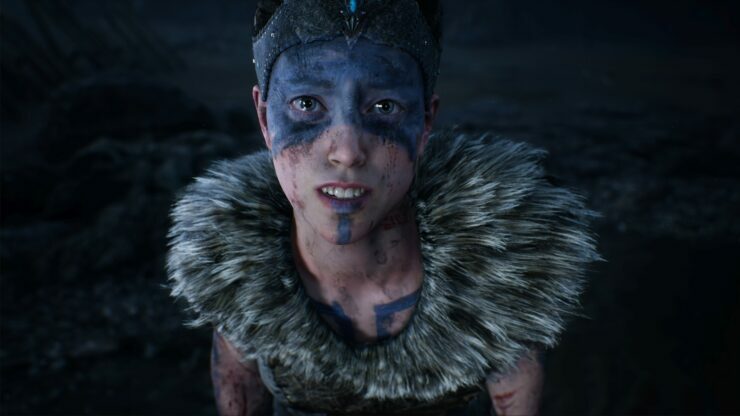 In a couple of weeks, specifically on August 8, Ninja Theory will make PC players and PlayStation 4 systems descend into the limits of madness and dementia with the launch of one of the most interesting projects due this year: Hellblade: Senua’s Sacrifice. In this game, players will put themselves in the skin of a young Celtic warrior to whom they must accompany in a mission where logic and reason are two foreign concepts that have been replaced by the psychological problems suffered by the protagonist of Hellblade: Senua’s Sacrifice. Now we can finally witness how Senua unfolds in the combat with her sword, waging a series of brutal fights against her enemies with the desire to shred them to pieces. These clashes seem to have enough action to require your attention at all times. In addition, it seems that Senua will have a kind of skill that will slow down the movements of others. The gameplay also leaves us with another part where you’ll have to solve a puzzle that blocks a barrier with symbols. All this while our heroine is constantly listening to voices that will not stop tormenting her during the fighting and her journey, hence the high level of madness to which she will be subjected. The gameplay looks impressive and makes us even more eager to play Hellblade: Senua’s Sacrifice that will be released on August 8th on PlayStation 4 and PC for $29.99 in digital format. Moreover, the game will support PS4 Pro allowing players to choose between increased resolution or 60FPS. Meanwhile, the PC version features 4K support, uncapped frame rate and Ultrawide support.